If your Infiniti needs auto repair services and you’re in the Kent and Des Moines area, don’t wait until it’s too late to find excellent auto mechanics. At Premier Automotive Services, our top-notch auto repair technicians are the trustworthy technicians you deserve. At Premier Automotive Services, we understand why our customers love the Infiniti brand. Among luxury cars, Infiniti ranks among the very top. Not only are they luxurious, but they’re also a very good value. 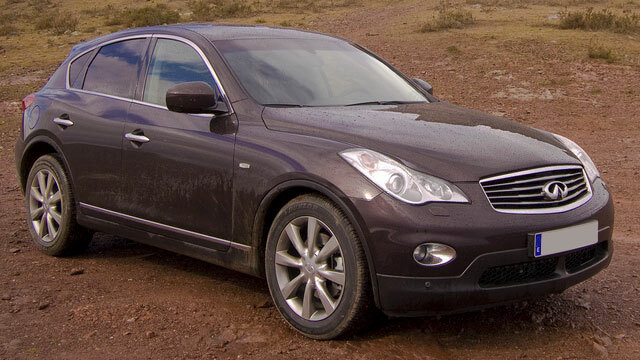 Despite its dependability and great value, an Infiniti, like any vehicle, needs regular service and repairs. Trust our auto repair technicians to know what your Infiniti needs. We’ve seen many of them in the Kent and Des Moines area, so any issues you have probably will be something we’ve seen before. Why choose Premier Automotive Services? We’re super friendly and super trustworthy, and we do what we say we’re going to do. If we say it’s going to be done at a certain time, it’ll be done at that time. It’s not that hard to do what you’re going to do at the price you say you’re going to do it for. Once you’re checked in, we’ll get you a ride home. We always do a courtesy inspection. We’ll explain how the process will work when you come in, and we’ll send the inspection to you digitally. We’ll talk about the results of your inspection, and prioritize the results as needed. Here’s a five-star review from a happy client who moved out of the Kent and Des Moines area yet still drives here from Tacoma. Take a look! “I have been coming to Premiere Auto for years and appreciate their honesty and great work on my 2003 Grand Caravan. I eventually moved to Tacoma and find myself making the drive back to Premiere for auto work. A huge thank you to Ryan and his shop for helping to keep my 211,000-mile van running smoothly!” -- Laurie H.
Our technicians at Premier Automotive Services would love to service your Infiniti. Our guiding principle is to take care of our customers first. Why not schedule an appointment today? We are conveniently located at 25009 Pacific Hwy S, Kent, WA 98032. Our hours are 8:00 AM - 5:30 PM, Monday - Friday.